Search engine optimization – while appearing to be three simple words – can strike fear into the hearts of many. To novices, the word seemingly provides no clues to what must be done in order to improve overall website performance in search engines and beyond. To experts, the word doesn’t do justice to the amount of effort it takes to consistently tweak and improve performance. Nevertheless, SEO can be simplified in ways that many newer bloggers and webmasters might feel is more complex. 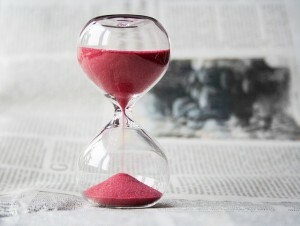 A big question for many is, “how much times does it take to do SEO right?”. Below, we’ll lay out the basics of what to expect when deploying and maintaining a solid SEO strategy. Largely speaking, SEO revolves around improving overall site functionality and interaction with search engines. When pinging for SEO, every site element must be tweaked and configured to either connect with or make a positive impression on search engine bots and crawlers. Some of these tweaks and acts include designing or redesigning a site from scratch, providing users with simple yet thorough navigation options, improving overall website speed and security, using title tags and meta tags to properly identify content, and utilizing a complex site map. Without these basic elements, a website cannot properly maximize SEO influence. The good news is that for most of these elements, it is a one-time thing. The proper optimization of a website along these lines can take anywhere from a couple of hours to a couple of dozen hours; it largely depends on whether you intend to build the site from scratch, use a SEO-friendly template, or some variant in between. After a solid foundation is constructed through which to begin reaching out to search engines, the next step in the SEO process becomes one of content creation and optimization. By far, this will be the most time-intensive element of the broader SEO process. It is through the use of keyword research and inclusion, a variety of multimedia elements and intriguing topics that users will be able to find your content in search engines, find it to be valuable, and find it worth sharing with others. Depending on the nature of the brand, blog or business, content may be published multiple times per day, once per day, once per week, or at some other interval. For brands and blogs publishing one new piece of content on a weekly basis, roughly one to two hours will be needed to maximize SEO potential and to create the content. Smaller posts may require less time, while rich multimedia – such as videos and podcasts – may require more time. Last but not least, SEO of today is strengthened through content marketing efforts that combine email, social media and more with traditional elements of optimization. As search engines continue to pick up on social signals when pinging for SEO indicators, it is vital to utilize these resources not only to grow organic traffic, but to also indicate to Google and others that your website is an engaging resource for a given part of the community. Content marketing can take on a life of its own, but as little as one hour per week of time may be enough to properly marketing your content via email, social media and even PPC campaigns.